PBV valves are manufactured custom ball valve solutions for high performance applications. 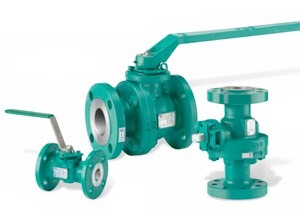 These valves are made to exceed difficult oil and gas industry requirements. From using weld overlays for hostile environments to fabricating extensions and coatings for buried service, PBV engineers can manufacture one-of-a-kind valve solutions for demanding industrial applications.